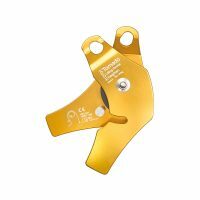 For controlled lifting and lowering of light or medium loads. The TORNADO is a lifting & lowering device with a locking cam for use on kernmantle rope. The one way bearing in the main cam allows it to rotate freely when lifting but lock when lowering. Functions as a pulley when lifting for minimum friction and provides friction for controlled lowering. Controlled lifting is a widespread activity in all work at height and rescue. 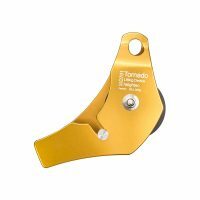 With its smooth running one way bearing, the TORNADO lifting and lowering device is a light and versatile addition to any lifting system. Operation of this device is simple – pull the tail end of rope to lift, raise the body of the device to lower. 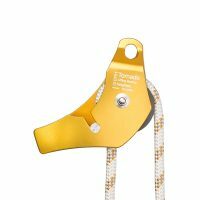 The rope can be installed while the device is connected to the anchor point to reduce the risk of dropping. Can also be used in compound pulley systems to increase mechanical advantage. Designed for loads up to 50 kg. All lifting products are marked with working load limits and certified. Patented GB 2 437 793. Integral part of our Lifting & Lowering Kit. 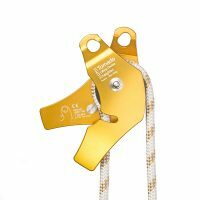 Can be used for raising, lowering or positioning loads. Ideally suited to the renewables, construction and telecoms industries. Stainless steel TORNADO (D70) is available for high strength and high corrosion resistance.